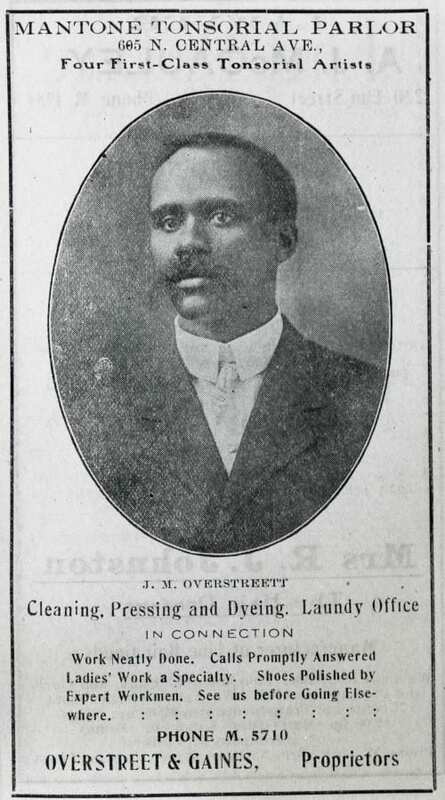 Sample of an advertisement for African-American business, in this case a barbershop and launderer, in 1911. Courtesy Dallas Historical Society. Used by permission. “JW Overstreet 1911.” Accession number V86.50. Courtesy Dallas Historical Society. Used by permission.